Wow. 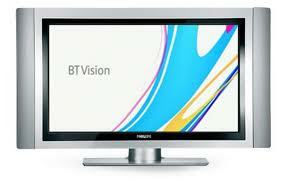 Premiership Rugby’s exclusive £152 million 4 year deal with BT looks like being a bit of a game changer. Not only will English clubs now be rolling in cash (and I wonder how long the salary cap will now last), the fact that the new BT deal will incorporate exclusive rights to European games from 2014 means that the clubs can now call all the shots. ERC may be upset but ultimately money talks – put simply Europe needs the English clubs more than the English clubs need Europe. Of course, with money come money-related problems. No doubt players will expect a significant hike in salaries – as if we didn’t already have enough mercenaries in the game – and if we’re not careful rugby will become so reliant on TV money that the sport would simply collapse without it (although to be fair we may already have passed that point some time ago). As for the humble rugby consumer, he/she is now expected to fork out yet another monthly fee to yet another TV supplier. I don’t suppose the suits at Premiership Rugby give a rat’s arse but they really should – there’s a limit to how much they can expect us to spend to watch what has often been, let’s be honest, a fairly mediocre product. "Europe needs the English clubs more than the English clubs need Europe..."
As I see it (and assuming the deal is legal), English clubs can now afford not to play in the Heineken Cup and the money on offer from BT make a club-led tournament very attractive to the other Europeran clubs. Of course the rest of Europe could decide to continue without the English but it's unlikley to be as lucrative without English involvement and usually money talks. Hence the conclusion - not saying it's foolproof but this deal does appear to put the English clubs in the driving seat. Hmm not entirely sure Premiership had the rights to sell - AFAIK rights had been passed over to ERC who had already agreed a deal with Sky (which BTW Premiership agreed to). It might well be about the money - but I suspect the money is going towards the lawyers. It is a sad situation when the best club rugby tournament in the world is going to disappear because of sour grapes.